The Israeli house demolition policy within the Green Line, primarily directed towards the Bedouin community in the Negev, continued during the passing year. 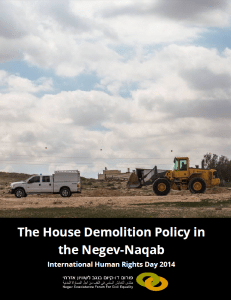 On the International Human Right Day, the Negev Coexistence Forum published a new report, which explains the policy, presents different enforcement authorities, and reveals its scope using data from the Ministry of Interior. As such, Israel continues to deny Bedouins their right for adequate standard of living, guaranteed under a variety of international conventions. Israeli Ministry of Interior acknowledged that 859 structures were demolished in the Southern District, most of them within Bedouin localities.There was a dramatic increase in house demolition by Bedouin owners to 78% of the total resulting from coercion by the authorities. In addition, data reveals that 54% of all demolition took place within governmental planned towns and villages that were recognized by the state, while only 46% were executed in unrecognized villages. This data places in question the State’s intentions regarding planned towns and recognized villages, which are often used as an anchor justifying government demolition policy in the unrecognized villages. 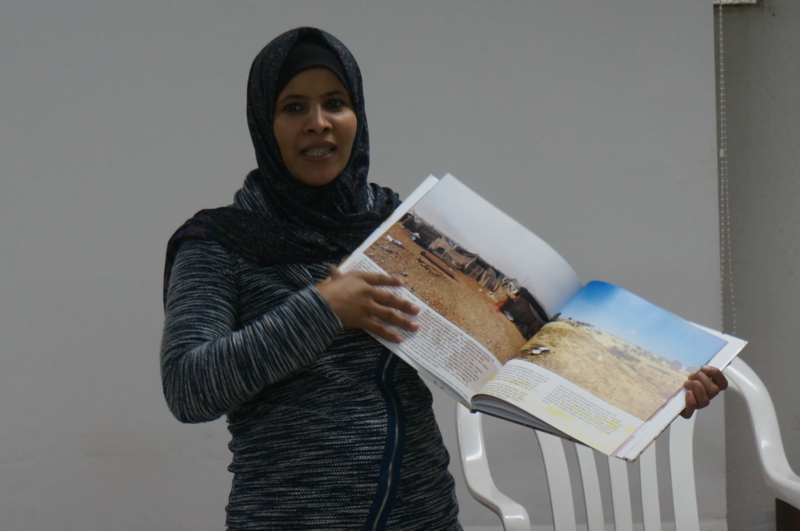 The Negev Coexistence Forum drew a conclusion that the Coordination Directorate uses the house demolition policy deliberately in order to pressure Bedouin families to move from unrecognized villages into planned towns. It issues demolition orders, reopens dormant cases and targets particular structures to pressure Bedouin families into land negotiation with the State. As a result, house demolitions serve as an instrument in the State’s struggle to annex Bedouin land. The high increase in house demolitions by their owners also reveals an extraordinary figure – while the representatives of law enforcement authorities threaten the owners that they will bear the cost of demolitions executed by the state, the report reveals that so far only three such claims have been made by the Israeli Lands Authority, with none yet resolved in the courts. Therefore, it is actually an empty threat yet it works on the ground. The members of NCF’s human rights defenders network convened on the International Human Rights Day to summarize the year of 2014. During the day, the representatives of four unrecognized villages heard a lecture about human rights, held discussions about the project and viewed the variety of products of the project – presented in an exhibition that documents the human rights violations in their villages. In honor of the event, each of the women received a book that includes photos and texts about her village.